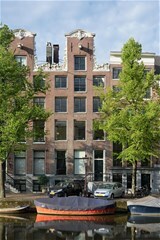 Keizersgracht 702 F Amsterdam, Grachtengordel - Peter Bruin Makelaardij o.g. b.v. 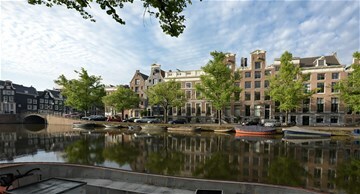 ELEGANT URBAN LIVING IN THE AMSTERDAM CANAL DISTRICT. Fully furnished duplex top floor apartment of approx. 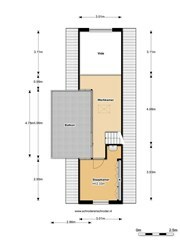 105 m2 living space with private roof terrace. 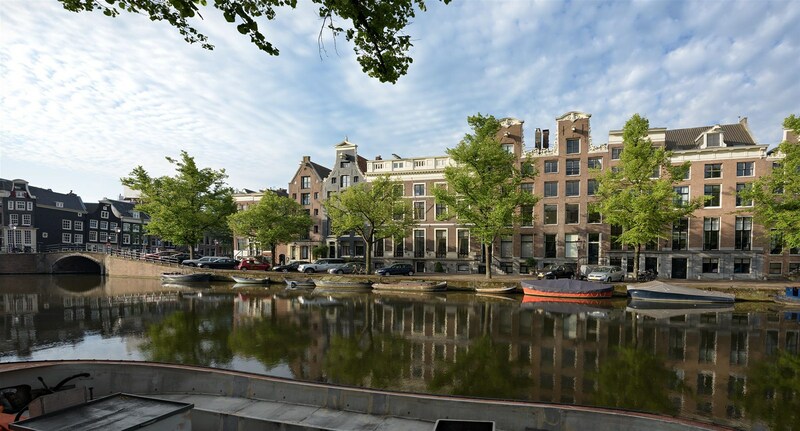 This loft style apartment is situated in a historical canal house with elevator, located in the city centre on Amsterdam with lots of shops and restaurants on walking distance. Good public transport connections nearby the apartment. 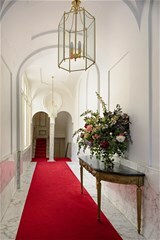 Elegant marble communal entrance hall with stairs and access to the elevator. Private entrance of the apartment with wardrobe and guest toilet. Spacious living room with great canal view and open fire place. Dining area and fully equipped half open kitchen. Home office/ study area with access to private roof terrace. 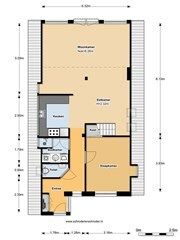 Two bedrooms with fitted wardrobes. The apartment is rent for expats with owners prior consent.